The Magnuson Hotel Pictured Rocks Munising Wetmore Area hotel is located on East M-Highway 28 and Federal Highway 13, close to Lake Superior and Picture Rocks. Over 350 miles of trails can be accessed from the parking lot, for hiking, snowmobiling, and ATV fun. The Hiawatha National Forest is nearby, where you can see 3 of the Great Lakes. Take a ferry to nearby Grand Island National Recreation Area, or visit the Kewadin Christmas Casino for gaming and entertainment. During your stay at Magnuson Hotel Pictured Rocks, start each day with a free hot breakfast and stay connected with the free high speed wireless internet access throughout our hotel and in all rooms. 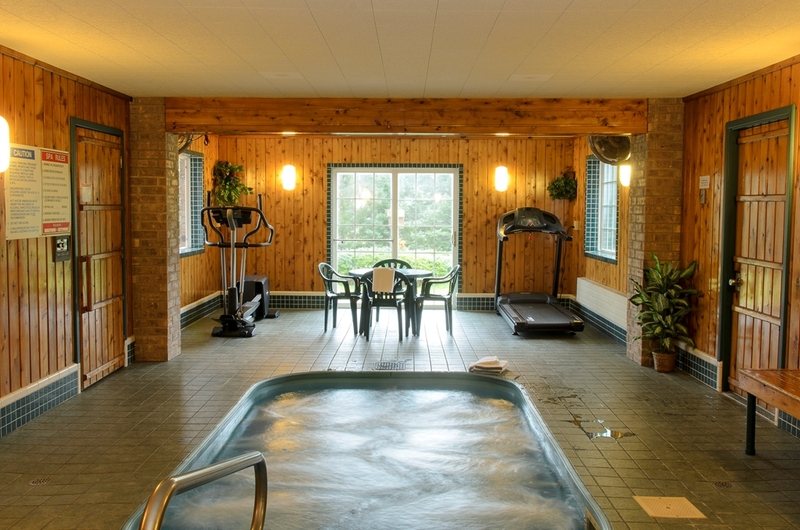 You can relax with a soak in the large whirlpool and sauna, and stay active in the exercise room. A microwave is available in the lobby area. All rooms are furnished for your comfort, and come standard with a large fridge with small freezer, coffeemaker, free local calls, cable TV with 40 HD channels, iron and board, alarm clock radio with a USB port, electronic door locks, and individual temperature control.